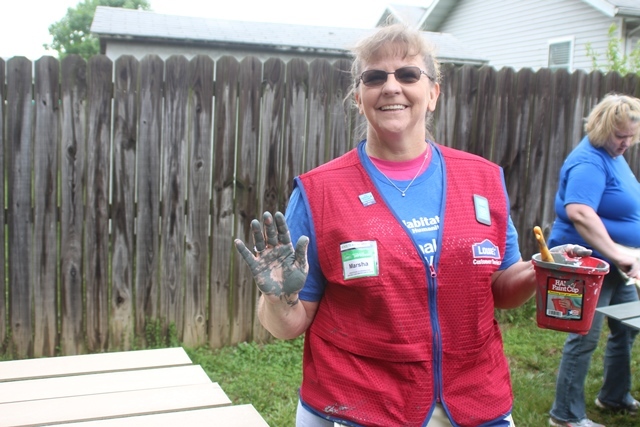 Habitat for Humanity’s National Women Build Week is a weeklong event created by Habitat’s Women Build program and invites women to devote at least one day to help families build strength, stability and independence through housing. The week is meant to spotlight the homeownership challenges faced by women. When: May 5 -13, 2018 (Wednesday – Saturday), 9:00 am – 4:00 pm. Volunteers will receive a free Women Build shirt! Build alongside our friends at Ozarks Live on Friday, May 11 for Media Day! On our special Media Day with Ozarks Live, volunteers will build alongside Jeremy Rabe, Kelly Smith, Tom Trtan and Joy Robertson! All volunteers will receive an official National Women Build Week volunteer t-shirt and and the opportunity to be seen on live TV! This Mother’s Day season, we ask for your help in supporting Habitat for Humanity of Springfield, Missouri’s participation in a nationwide Habitat for Humanity initiative uniting thousands of women in creating affordable housing in partnership with families across the United States. Habitat’s Women Build program recruits, educates and nurtures women to build – and advocate for – simple, decent and affordable houses in their communities. Our goal is to have 50 women participate in the build from May 5-13, 2018 to make an impact on the local family buying the home. If you’re looking for more information about volunteering, contact Aaron Norrick, Volunteer Coordinator at 417-829-4001 x 112.